This contemporary wall sconce offers a gentle white glow and unsurpassed elegance. I was looking for a white sconce and couldn't find one the height I needed. 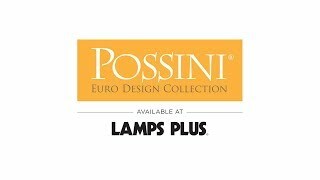 So happy I looked on the Lamps Plus website..
Looks elegant for our stairwell. House built in 1831 restoring after an interior fire looked for a replica of a Federal Style wall sconce that I could not find anywhere was attracted to the style of this wall sconce that will work well in my new office. Simple and the right size. The reviews convinced me these sconces would be great replacements in a space we're renovating. Classic, not too ornate, clean cut looking. I just purchased a new home. This same exact sconce is in one hallway and I wanted to get the identical ones for the other side of the home hallway. I previously purchased 2 of the same sconces. They are very simple and plain but they illuminate the entire room nicely. We cannot install overhead lighting due to concrete ceilings and found all rooms had electricity going to a wall outlet connected to the switch plate. We like the flush design, the line shading, the size, as well as the tapering at the bottom. These will fit between the windows and not stick out behind the dining room table. We wanted simple design to light up the room without being to plain. Needed for a dark corner for reading where there's no room for a sofa table. Already have the same in a different color way and like how it doesn't stick out into room to far. The other one is in a small narrow hallway. Great for small scale living. How is it hung? Can I use this in a 90-degree corner? BEST ANSWER: Hi - This is designed to mount to a standard 3 1/2" to 4" wall junction box. No, this is not designed to mount to a corner. This has a flat panel that attaches to the wall so it would not work in a corner unfortunately. Will this work on a pull chain? BEST ANSWER: Hi Renee This sconce does not come with a pull chain type of bulb holder so it was designed to be operated by wall switch... However if you take it to a lamp shop they would probably be able to change out the bulb holder to a chain type, the chain would have to hang through the bottom of the sconce and that may not look to good. Anyway overall I bought 7 of these for my basement walls and I love them, they look great and the glass and design are high quality and give it a transitional to modern look. No...it is hard wired into a wall. How wide is the glass at the top of the fixture? BEST ANSWER: The top of the glass measures approximately 7" wide. 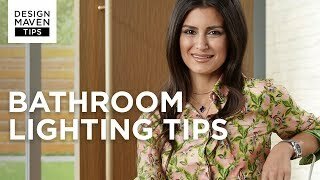 the sconces look very nice, I am concerned tho about the non matching lines in them if they are hung either side of a bathroom mirror or in a hallway. would it create uniqueness or a weirdness not having them match? BEST ANSWER: Having the same sconces on either side with a little bit different design in the lines would be just fine from our perspective. while this light takes a standard 60 watt bulb, Can it hold an LED light? BEST ANSWER: Absolutely, LED bulbs can be used. I have and LED bulb in mine right now. Can I convert this to a plug in? BEST ANSWER: Hi - this is designed for direct wire and we do not offer any conversion kits to change it into a plug-in. You may check with a qualified electrician for your conversion options. Would it be strange to use this in a garage? My garage doesn't have overhead lighting and there's only one place where I can install light fix on the wall which is next to the door. I've tried security lights but they're way too bright when used inside. BEST ANSWER: This sconce is not rated for outdoors. Since the garage is still considered an outdoor area, we would recommend using an outdoor rated sconce. I think it might be a little too delicate for a garage. Hard wired? Is there a switch on the unit or do you use the light switch at the door? BEST ANSWER: Use the light switch. The electrician installed it for us. It is hardwired. No switch on the unit. Use the light switch at the door. We have a switch at the door. Will it mount on a standard 4" diameter box? BEST ANSWER: Yes, the light mounts to a 3" inch or 4" inch electrical box. Yes, but we had a professional do it, so don't know how easy it would be to DIY. Looks good. Yes, that’s where we mounted ours. Looks great. BEST ANSWER: Hi! The distance from the mounting bracket to the top of the fixture is 8” in height. I will email you some photos directly showing you the measurements and what the back of the fixture looks like. Can anyone tell me how long the backorder is on these sconces? BEST ANSWER: We are expecting a shipment the first week of October. Please feel free to contact one of our lighting specialists and they will be happy to confirm availability at the beginning of October. Very nice and very affordable! It enhances the wall colors with a soft glow. Adds a lot of class to the look of the wall. Found these and feel in love. We had bought four locally but needed 12 more. Went on line and identical fixutes on the web-site much cheaper than what we had paid locally. Site was running free shipping specal so it was a great win for us. These look very pretty on the wall and give out a surprising amount of light. I used 3 over my double sink vanity with tall mirrors in between. Installed dimmable LED bulbs so they last a long time. They emit a soft, diffused light. Adds nice wall washing light without stranding out on wall. Quick shipping and EXCELLENT packing. Can't say enough about Lamps Plus. I recommend them to all my friends. Easy to use web site with good prices and great sales. The store staff was helpful in guiding us to this lamp. We have the outdated bright brass fixtures throughout our house. This lamp doesn't have any of that bright brass, and still fits in well. Freeform White Stripes Tough to "Match"
I ordered two sconces. Each individual sconce was fine, but the freeform stripes were so different (not even close to looking the same) that they would have looked ridiculous on either side of my bathroom mirror. I had to return them. I guess they would be great if you could hand pick 2 or more that sort of matched. We purchased over 40 of these wall sconces to remodel a building lobby of a retirement community. The sleek and contemporary art glass sconces enhanced our new furnishings and added much needed lighting and ambience. The timeless style will be enjoyed for many years to come. We put these in a theater room with an automatic dimmer switch. Everyone says how perfect they look and how they compliment the room. I was a little unsure, but now I love them. They are perfect. We installed six of these beautiful sconces in our living room. We wired them in pairs and attached them to dimmer switches to control the lighting and ambiance in the room for movies, games, or reading. Elegance and refinement in light. These wall sconces look great night and day. I wanted something that was simple yet elegant, which wouldn't compete with the picture hanging between the two sconces over the fireplace. This did it. It creates lovely ambient lighting on a dimmer and the delicate etching on the glass adds to their beauty. And you can't beat the price. Creates nice ambience lighting. Nice addition to hallwalls or bedrooms! So pretty and just as pictred on website. Arrived on time and packaged well. Would definitely work with again. Looks beautiful in my entry way. Simple design, goes with everything. I ordered this for a master bathroom and loved it. Loved the modern simplicity style. Exactly as pictured. Easy to install. I have received lots of compliments on it. 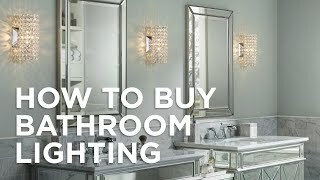 You can pay a lot more for a wall-sconce lighting fixture, but why would you? This sconce has the looks and an economical price. Another plus is that it takes traditional incandescent bulbs which are so much easier to buy and replace than Halogen. Easily installed, I used mine with dimmable compact fluorescents for a simple elegant light that is efficient. I installed this with dimmable CFL's. Added a nice touch to the room. Installation is simple. item was not availble at store, needed to be ordered. Works perfectly in our hall. Add dimension to a guest bathroom with the clean lines and color from this large white wall sconce. The light within the hand-sculpted cradle of this gloss whitemodern steel wall sconce is diffused by clear and frosted glass. From the Possini Euro line of home lighting fixturesthis satin nickel wall sconce will give your living space a modern flair. The Leigh wall sconce by Hudson Valley is a two-light design with a white finish steel lantern design and polished nickel accents.